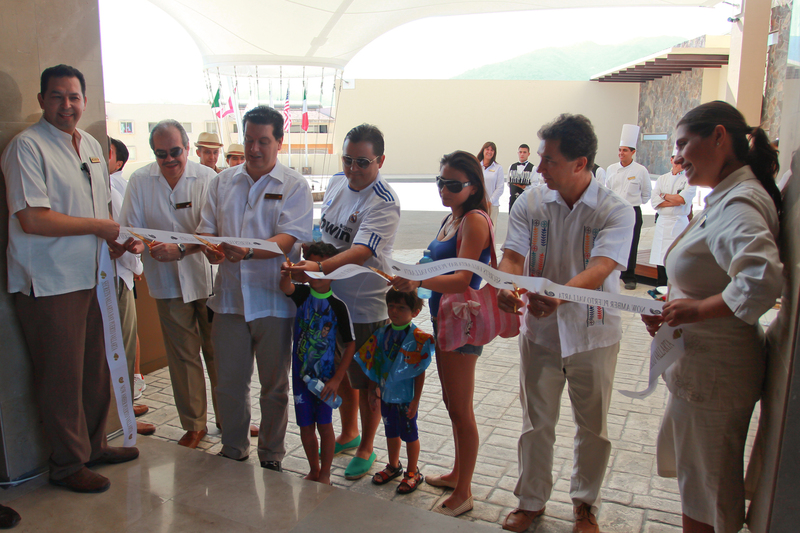 Now Amber Puerto Vallarta is officially open and is ready to welcome you to an Unlimited-Luxury® vacation! There has already been a lot of excitement about the resort and our first guests are enjoying their stay. Mexico’s President Felipe Calderon visited Puerto Vallarta to be a part of the special opening of our new resort, Now Amber! President Calderon expressed his gratitude to the brand new resort development that will provide 1,000 jobs. Now Amber officially opened to guests on Sunday, April 1, 2012. The resort staff gave a warm welcome to their first guests, the Gonzalez family, during a ribbon cutting ceremony! Armando and Yolanda Gonzalez are enjoying a family vacation with their two young sons. We can’t wait for you to stay with us soon too. Book your vacation so you can experience all that Now Amber has to offer including 24-hour room service, gourmet dinning, infinity pools and more. This entry was posted in Now Amber and tagged Mexico, new resort, President Calderon, Puerto Vallarta, resort opening. Bookmark the permalink. Trying to reach you by e-mail, but just get a failure to delivery notice.